James Stowe a full-time (and freelance) illustrator, husband and father of two. I have produced RPG fantasy and horror illustrations throughout the 1990s and early 2000s with more than 100 published works. For the past few years I have dedicated myself to cartooning, art education and sharing RPG gaming with the next generation through my ongoing webcomic and roleplaying game Sidekick Quests. Feel free to contact me at jamesstoweart@gmail.com or stowe@cartoonistsleague.org, or become a fan of my work on Facebook (James Stowe’s Art), or follow me stalker style on Twitter (jamesstowe). 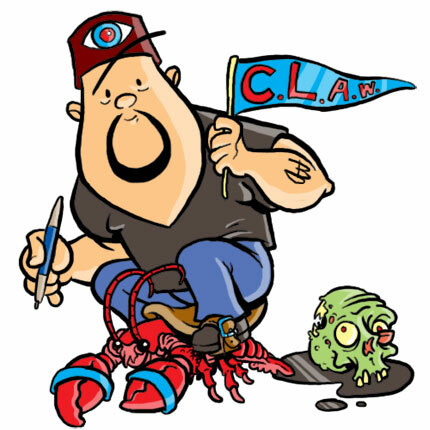 Who is The CLAW – James Stowe from The Melon on Vimeo from 2009.